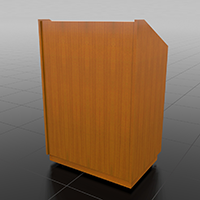 One of the preconfigured Lectern packages from theSTANDARDLine. 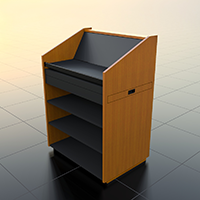 Styled to match our STANDARD Lectern, the STANDARD32+6 is identical in appearance to all other Lecterns from our STANDARDline, simplifiying the choice and selection of multiple lecterns with different configuration requirements. 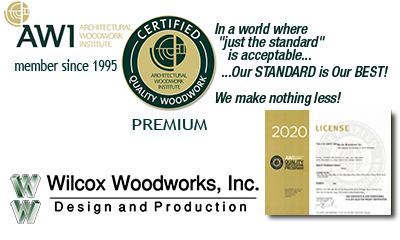 TheSTANDARD32+6 features a hardwood veneer exterior. 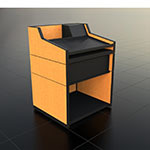 Desktop surface and interior components are furnished in a matte plastic laminate. 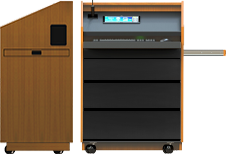 TheSTANDARD32+6 moves easily over carpeted or hard floors on included furniture grade casters. 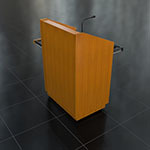 or any other STANDARDline Lectern. 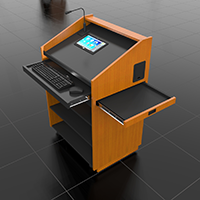 The Two-Piece Desktop Option provides a flat desktop area and an inclined space for mounting displays, touch panels and contol devices. 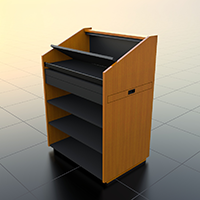 The inclined portion of the desktop opens to provide access for easy installation and maintenance. A keyed lock is included with the STD-32-TPD. 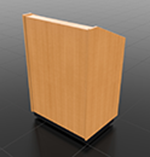 Overall dimensions of all STANDARDline Lecterns: 32"w x 23" deep x 47-1/2"h.